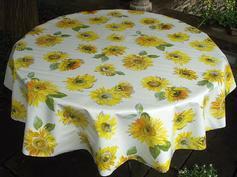 This modern oilcloth has many uses and it is very popular throughout Europe both in dining areas and kitchens, and outside on the patio. 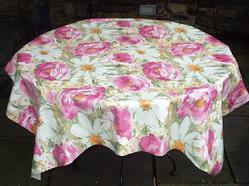 The PVC is manufactured onto a cotton non woven backing providing a non-slip smooth protective surface. 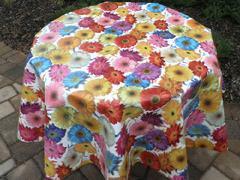 As tablecloths the material is available as circular patterns 60 inch diameter, or as allover patterns which are available as 60 inch or 55 inch wide. 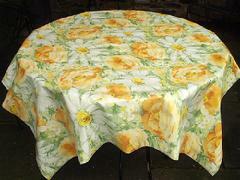 The allover patterns can be cut square, round or rectangular to any size you wish. 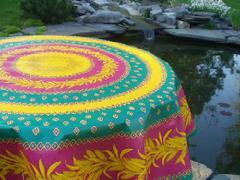 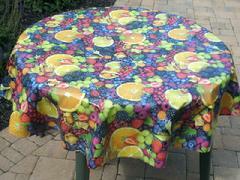 Tablecloths of 60 inch and 55 inch diameter are $48 each; for other sizes calculate at $30 per linear yard. 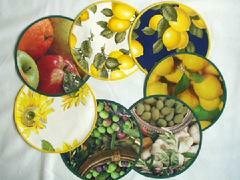 Sizes are indicated on the photos. 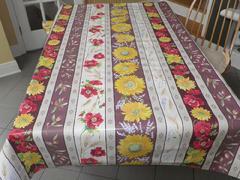 In addition we now have similar quality oilcloth from Turkey with a wide variety of patterns. 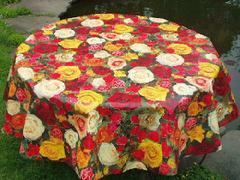 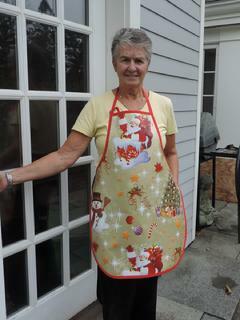 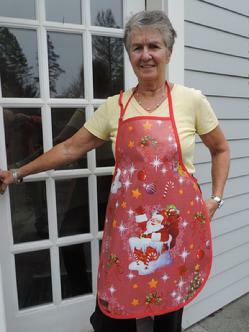 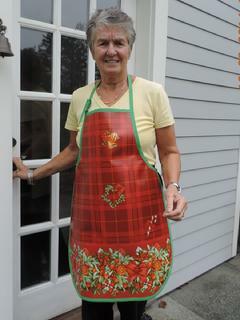 This material can also be used as a fabric to make aprons, placemats, tote bags, coasters. 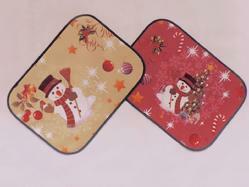 Currently our reversible placemats at $12 each are popular items. 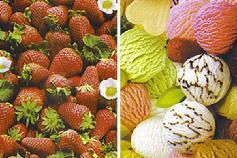 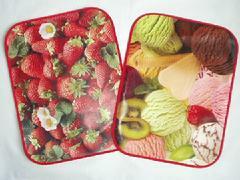 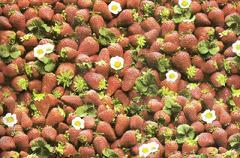 STRAWBERRIES OR ICE CREAM 60"